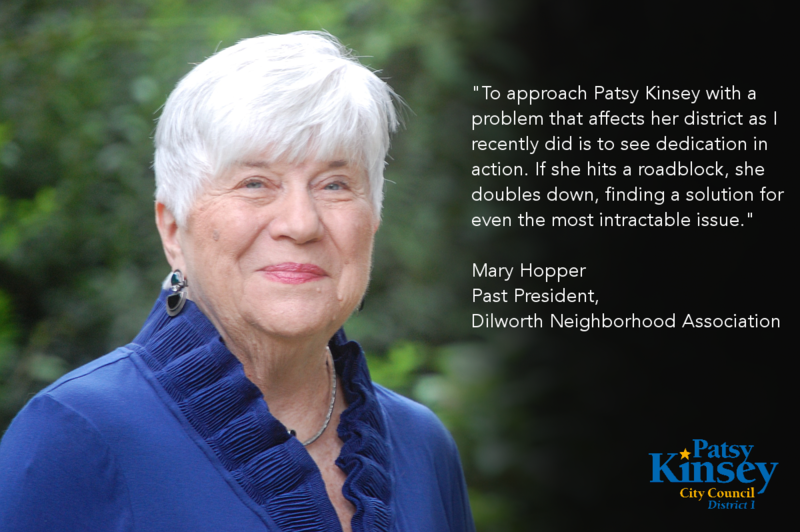 Mary Hopper’s life took a strange turn 25+ years ago when she became president of the Dilworth Neighborhood Association. Under her leadership, Dilworth led the rezoning that saved the Addison Building, assisted Tony Pressley in a number of South End’s earliest rezonings and, most notoriously, helped get rid of the Foxxx Adult Video shop by photographing its patrons. She also worked to block a for-profit coed half-way house for federal prisoners near the Dowd Y. Based on her neighborhood work, she was appointed to the Planning Commission, chairing it the last two of her eight years of service. She was an activist member, writing the City’s first Big Box study and convening two sessions with regional planning boards and staffs. Her former company, Hopper Communications, also worked on a number of Charlotte’s most challenging transportation and land use issues. She organized public involvement for the 2025 Transit Land Use five-corridor study, Countywide Transit Services, a new bus garage, the trolley project, the city’s first connectivity study and Urban Street Design. She also consulted on rezonings for South Park and Lowe’s South End. From 2003-2012, Hopper was executive director of University City Partners, Charlotte’s first suburban Municipal Service District. In retirement, she has returned to her grassroots, working with neighborhood organizations throughout the city. I am honored to have the endorsement of someone who has accomplished so much for Charlotte. "To see Patsy Kinsey's exhausting schedule is to be in total awe of the amount of constituent services she provides to her district and this city. To approach her with a problem that affects her district as I recently did is to see dedication in action. If she hits a roadblock, she doubles down, finding a solution for even the most intractable issue. Most impressive!"